Governing Board - Catalyst Network Foundation Inc.
Lawrence Liston Baylor began his matriculation at Norfolk State University beginning in 1984. Mr Baylor launched Concord Courier Services, Inc in 1987, and within a year he was the largest courier service in the entire Tidewater, Virginia area. 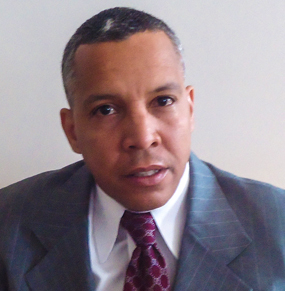 In 1989 he relocated back to his hometown of Washington DC and founded Concord Movers. He operated Concord Movers for 15 years before selling the business. He later founded and is currently the Managing Director of the Washington, DC based real estate investment firm the Baylor Real Estate Companies. Mr. Baylor is an investor who allocates capital to create, acquire and develop real estate for the purpose of converting into lucrative investment opportunities. His holdings are vast and span most of the Mid-Atlantic seaboard, with the exception of Maine, Massachusetts, Delaware and Pennsylvania. Mr. Baylor is a positive role model and readily shares his leadership skills with the community. He is also the Head of Business Development at New Hope Church in Washington, DC. Priscilla Maddox is the Co-founder of the Catalyst Network Foundation Inc. She previously served as the Chair of the Economic Development Committee for Community Board Eight in Brooklyn. She is the former Chair of Brooklyn Score Located in the Business Library of Brooklyn Heights on Pierrepont Plaza. She is a former nursing home administrator for the Isabella Nursing Home in upper Manhattan. She is a retired Assistant Bacteriologist of the New York City Health and Hospital Corporation. She has formerly worked as a certified diabetic cooking and continuing education instructor of the City University of Medgar Evers and a diabetic cooking, counselor and teacher for the Health First HMO and Downstate University Hospital. She continues to serve as a volunteer fundraiser for Visions for The Blind located in Brooklyn and a volunteer for the Renaissance Health Care Auxiliary Inc.
She is one of the past owners of the “Kitchen for Hire” affiliated with Cornell University Agricultural Department. She was a tireless leader for the Washington Avenue Merchants’ Association where Kitchen for Hire was located. She is also a licensed Nursing Home Administrator. She is also a former inspection agent for the United States Food and Drug Administration. She continues to work as a Risk Management Consultant. She has been a community activist for decades throughout the City of New York. Raised in Crown Heights North, Ethel Tyus is a life-long Brooklynite. A graduate of the City College of New York with a B.S. in Biology, she also holds a Masters in Human Resources Management and Development from the New School for Social Research, as well as her J.D. from Fordham University School of Law. A long-time homeowner and resident, Ethel brings years of legal experience and community activism to the boards of several Crown Heights North organizations. As one of the Crown Heights North Association’s (CHNA) founding members, she shepherded the group’s incorporation as an accredited non-profit organization, and was on the committee that established CHNA’s by-laws and goals. The Catalyst Network Foundation and the Friends of Brooklyn Community Board 8 also gained non-profit status through her efforts. Ethel is tireless in her efforts to better the Crown Heights community. She is Board Member, Counsel and Treasurer of CHNA, the Vice Chair of the Housing/ULURP Committee of Community Board 8, and President of the Sterling Place Civic Association. In her professional life, Ms. Tyus has been an Arbitrator for NYSUCS, Kings County Small Claims Court, Court Representative for the NYC Comptroller’s Office and Contract Administrator for the NYC Human Resources Administration. She is a skilled litigator, having prevailed in age discrimination, housing, landlord/tenant and family dispute cases. 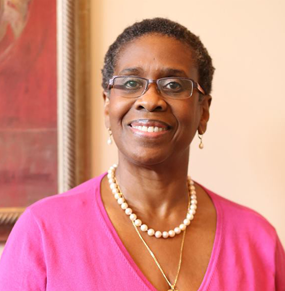 Ethel Tyus has been a member of the NYS bar since 1999. Ethel has been one of CHNA’s most fervent supporters of the landmarking process, and worked tirelessly for years to get the neighborhood landmarked. She also almost singlehandedly championed the efforts to place the District on the State and National Registers of Historic Places. She has spoken at numerous community meetings touting the benefits of landmark status, especially in terms of the tax advantages inherent in State and National Register designations. Along with several other board members of CHNA and the leadership of CB 8, Ethel has lent her expertise to landmarking sessions for other neighborhoods seeking designation. While landmarking itself is certainly important, it is also equally important make sure landmarking standards and guidelines are adhered to, as well as oversee plans for changes in landmarked buildings. Both CHNA and CB 8 are tasked with reviewing plans from homeowners, builders and their architects before they are sent on to the LPC. Ethel is well versed in reading blueprints and plans, and offering an educated opinion used in the final recommendations of both groups. As a member of CB 8’s Housing and ULURP Committee, she is fluent in zoning terms and regulations, and along with CHNA and CB colleagues, is at the forefront of the community’s fight for contextual zoning and the demand for sensible and sustainable real estate growth and development. Somewhere in there, Ethel finds time for enjoying her home, and is in the process of renovating her 1894 landmarked row house on one of Crown Heights North’s beautiful blocks.